I read this article and found it very interesting, thought it might be something for you. The article is called 16 top things to do in New York City this fall, ranked! and is located at https://www.cheaptickets.com/blog/2018/09/16-top-things-to-do-in-new-york-city-this-fall-ranked/. The end of summer isn’t necessarily a bad thing in New York City. In fact, the fun only seems to pick up as sweater weather sets in. With the arrival of cooler temps and pumpkin spice lattes comes a whole host of fun festivals, sports games, concerts and more. Here are the 16 best things to do in NYC this fall—ranked. See two of the hottest stars in country music right now as they light up the stage to a fun-lovin’ audience at the Barclay’s Center in Brooklyn. If you haven’t caught a game at the beloved Barclay’s Center yet, here’s your shot. Watch a great night of basketball—and keep your eyes peeled for a possible courtside Beyonce/Jay-Z sighting—when the Houston Rockets come to Brooklyn. If you live for the holiday season (i.e. start singing Christmas carols in July), this one’s for you. Be one of the first to attend NYC’s famed Radio City Christmas Spectacular starring the Radio City Rockets at the November 9 opening show. Everyone’s favorite English singer-songwriter is coming to town in late September. Sway to the melody of “Perfect” and stomp to the beat of the “Shape of You” as uber-talented pop crooner Ed Sheeran takes the stage at MetLife Stadium. Accurately referred to as the “Woodstock of Eating” by the New York Times, Smorgasburg is the largest weekly outdoor food market in the world. Taste mouthwatering treats like lobster rolls and ramen burgers from more than 100 food vendors along the Williamsburg waterfront every Saturday through the end of October. Enjoy an afternoon of hotdogs, cotton candy and baseball at one of the last Yankee home games of the season. Arrive early to the 4pm game to soak up the end-of-season excitement in and around the stadium! Be a part of the notoriously tough audience judging contestants (and possible future stars!) at the fabled Harlem talent competition. There are multiple Amateur Nights in the fall, but you’ll see the best of the best grace the Apollo stage on November 21st during the 2018 season grand finale “Super Top Dog” night. No longer just a cult favorite, New York Comic Con at the Javits Center has turned into one of the largest pop culture events on the East Coast. Catch all the latest in comic books, video games, movies, anime and more at the 4-day event, including the famous faces behind your favorite characters, like Jason Momoa (Aquaman), Danai Gurira (Michonne on “The Walking Dead”) and Dean Cain (Superman) plus scientist Bill Nye, rapper/actor Common and dozens more. The ultimate entertainer, Justin Timberlake will light up the stage of Madison Square Garden during his Man of the Woods Tour. It’s an awesome opportunity to catch one the best performers out there in concert at such an iconic Big Apple venue. 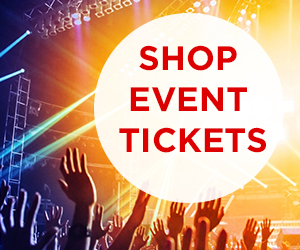 ALSO: Get a great deal on tickets to New York’s hottest concerts, games and events, only with CheapTickets! Bring on the food truck wars! Get your tickets, hop on the ferry to Governors Island, and taste your way through 25 of the best food trucks in New York City. Don’t leave without seeing who is crowned champion at one of NYC’s most delicious culinary events. Undoubtedly one of the greatest rivalries in football, the New York Giants will take on Super Bowl champs the Philadelphia Eagles under the bright lights of MetLife Stadium. New York is known for its coffee culture and this is the city’s ultimate caffeine celebration. From Oct 12–14, visit the New York Coffee Festival at the Metropolitan Pavilion in Chelsea and spend the day sipping some of the world’s finest brews, watching barista competitions and ogling at impressive latte art. Forget the people-watching this Halloween; instead head to Tompkins Square Park on October 20th to howl your socks off at crazy dog costumes. According to CNN, it’s the largest dog costume parade in the world and—best of all—it’s free! Marathon day in New York City is absolutely electric. On November 4, runners will tackle the famed 26.2-mile urban course. Feel the excitement from any spot along the route as it weaves through all five boroughs, or watch the inspiring last leg of the race along Central Park South to the finish line. It’s Elton John—need we say more? No…but we will. Don’t miss the icon as he comes to Madison Square Garden on his Farewell Yellow Brick Road Tour, capping off an incomparable career and over half a century on the road. If you haven’t seen Elton in concert yet, this your last chance. I read this article and found it very interesting, thought it might be something for you. The article is called NFL smackdown! Which rival cities rule hardest? and is located at https://www.cheaptickets.com/blog/2017/10/nfl-smackdown-which-rival-cities-rule-hardest/. It’s that time of year again. In fact, for many, it’s the most wonderful time of year! No, we’re not talking about Christmas. Football season is well upon us and that means NFL fans across the country are sporting their lucky jerseys every Sunday for the next 16-20 weeks. It’s time for superstitions, tailgating, wings, beer and family rivalries. Many teams in the NFL have long standing rivalries themselves. The competition between the Baltimore Ravens and the Pittsburg Steelers or the Minnesota Vikings and the Green Bay Packers mean their respective cities will face off at least once this year. We don’t have a crystal ball so only time will tell who’ll win on the field…but that doesn’t mean there isn’t a winner already. In this NFL Edition of City Smackdown, we dissect the teams with the biggest rivalries to see who comes out on top based solely on all their hometowns have to offer. And if you’re already geared up for game day, don’t forget that you can get tickets for NFL games right here at CheapTickets.com! The rivalry between these two teams goes far beyond the football field. Sharing a border, Minnesota calls itself “The Land of 10,000 Lakes,” but Wisconsin actually boasts over 15,000, including Lake Michigan. However, that’s the only place Wisconsin wins in this face-off. Green Bay has some good restaurants and fun things to do, but Minneapolis is a booming metropolitan city, the 16th largest in the country, with a food scene that is en fuego. It’s home to 18 Fortune 500 companies and was home to the late, great music legend Prince. While Lambeau Field has lots of history, it doesn’t hold a candle to the fancy-schmancy new Vikings stadium. October 15 will decide the winner on the field, but for us Minneapolis wins off the field, hands down. This may be the most bitter rivalry in NFL football but how do the cities compare? Baltimore certainly wins on the history front. Did you know Fort McHenry is the birthplace of “The Star Spangled Banner”? Also, this Maryland harbor town offers delicious seafood served at charming crab shacks, plenty of boutique shopping and lots of historical tours, if you’re into that. Two hundred forty-some-odd miles away, Pittsburgh sits at the meeting place of three rivers in western Pennsylvania. Known as the “City of Bridges,” artist Andy Warhol grew up here. The Klondike Bar, Heinz Ketchup and the Big Mac were all invented in or very close to Pittsburgh, as well. We love crab just as much as the next guy…but this one’s got to go to Pittsburgh. Who wants to imagine a world without ketchup (or have to explain your decision to Mean Joe Green)?! Between the Space Needle and the Golden Gate Bridge, both of these West Coast cities have iconic landmarks. Seattle, situated on Puget Sound, is Washington’s largest city. It has forests, mountains and the Sound to explore. With plenty to do outdoors, it’s no wonder the people there are known for their high-energy lifestyles. While Seattle may be up and coming, San Francisco is well established; the hilly city in Northern California just has SO much to offer. From amazing restaurants and charming neighborhoods, to a gorgeous waterfront and near perfect weather (don’t forget Alcatraz! ), this city has it all. Plus, San Fran is only a short drive from Napa and wine is the way to our heart. SF for the win! 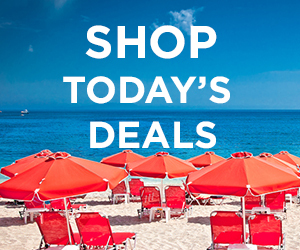 ALSO: CheapCash is a great way to score hotel discounts. Join today! Bitter rivalries are common in the NFC east, but none are as sour as the Eagles/Cowboys tiff. For the past three decades, at least, the bitterness between the fans of these two teams has been palpable. Dallas‘ history is a bit macabre: President Kennedy was assassinated there and infamous outlaws Bonnie and Clyde are buried there, but it’s not all sad. Dallas is also the birthplace of TexMex, as well as the frozen margarita machine (thanks for that!). Philly, on the other hand, has the Liberty Bell, the Philadelphia Museum of Art (the steps that Sylvester Stalone ran up in “Rocky”) and one of the most famous sandwiches in the world, the eponymous Philly Cheese Steak. We get it, everything is bigger in Texas, including the number of times the Cowboys have beaten the Eagles (65 compared to 51) but just the thought of a cheese steak sandwich makes us weak in the knees. Philly, you may have lost more games, but you win this one. Could there be a tougher pair to compare? New York City and Boston could almost be considered sister cities. Both are located on the water and have an amazing restaurant culture. Both are rich in history, as well as culturally diverse and have a bustling city scene. Their respective teams both play in the AFC East and they’ve had the same coaches (Bill Belichick) and players (Pepper Johnson). Historically, Boston pulls out in front in terms of wins. They’ve beaten New York 61 times, while the Jets trail with 54 wins. We love a lobster roll and some oysters, but at the end of the day New York has falafel, pizza, hot dogs, and the best restaurant in the world (Eleven Madison Park.) What can we say? New York City is…well New York City. And there simply is no better city in the world (plus, not everyone’s a Tom Brady fan!). I read this article and found it very interesting, thought it might be something for you. 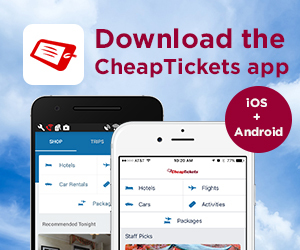 The article is called Cheap Right Now: Chicago in November and is located at https://www.cheaptickets.com/blog/2015/11/cheap-right-now-chicago-in-november/. People around the country will tell you that there’s no better place in the world to be than downtown Chicago in the summertime. It’s true, Chicago summers are enticing and overflowing with festivals, free activities and restaurant patios. But Chicago in November (and all of fall) is just as captivating. The leaves are losing their grip on the trees and the city is beginning to illuminate with that magical holiday glow. The lights glisten longer amid an early nightfall, and the warmth of city’s impeccable food and drink scene warms that November chill. Plane, train or automobile — Take your pick. Chicago is a major transportation hub with main veins leading to it from all over the country. It has two international airports, O’Hare and Midway, with trains providing easy access downtown, and marks a crossroads for several interstates, making travel by car easy as well. It’s also accessible by bus, Amtrak and even boat, if you are feeling really adventurous. Cheap local transit — Most Chicagoans don’t own cars, so getting around town is a piece of cake. Take the Chicago Transit Authority buses or trains, also known as the L, anywhere in the city for $2.25 a ride. If you want to go to the suburbs, Metra trains can take you there. Chicago is walkable though, so for the cheapest form of transit, use your feet and see the sights. Divvy, Chicago’s bikeshare program, is another good option if the weather holds up, but prices just went up to $9.95 for a 24-hour pass, and it will charge you a fee if you don’t dock the bike every 30 minutes. Stare on State Street — Chicago’s annual Thanksgiving Day parade is not to be missed if you are in town for the holiday. It starts at 8 a.m. and takes over State Street from Congress Parkway to Randolph Street. Watch floats, giant balloons, marching bands and local celebrities traverse downtown. If your neck starts to hurt from looking up, there will be plenty of people watching to do as well. And all that entertainment won’t cost youa dime. Taste fall in the alcohol — Revolution Brewing, one of Chicago’s premier breweries, makes a mean Oktoberfest. And fortunate for fellow beer lovers, Revolution offers free tours of its production facility at 3340 N. Kedzie on a first-come, first-serve basis. The tours fill up fast, especially on the weekends, so get there early. It comes with a tasting and is connected to its tap room, which serves many brews that never get bottled and distributed to the public. Revolution brews very seasonally, so you should be able to appreciate fall with every sip. Dine on doughnuts — The fierce doughnut competition in the city has raised the bar quite high for the delicious treats, far above and beyond what you could get at any run-of-the-mill doughnut joint. Specialty doughnut shops pepper the city and are worth waiting in line for. Try Firecakes Donuts, Stan’s Donuts, Do-Rite Donuts, the Doughnut Vault or Glazed and Infused. Although prices at these shops are higher than most, getting one doughnut as breakfast is a cheaper option than an elaborate brunch elsewhere, and these things are undoubtedly gourmet. If you want to cut costs even further, stop at any of the dozens of Dunkin’ Donuts. View of Chicago from the water taxi. Courtesy of Ally Marotti. Take in the views by sea — Chicago’s geography lends itself quite nicely to boat rides, and the options for those longing to set sail are many. There are architecture tours, sunset cruises and other passenger barges. But those options can cost upwards of $40 a person. Take a water taxi from Navy Pier to the museum campus through Chicago Harbor for a mere $8 (which would likely be cheaper than if a normal taxi drove you that distance), and take in sweeping views of the skyline. Go on a warmer day since passengers are exposed to the elements during the trip. Rides are short, though, so you won’t be bitten too hard by that November chill. Pro tip: If you aren’t into the boat thing, walk out to the Adler Planetarium for more great views of the city. Courtesy of Daniel X. O’Neil. Take your kinder to Christkindlmarket — The city sets up a traditional German Christmas market in Daley Plaza in the heart of the city, opening on Nov. 20. Try some German mulled wine or shop around and get a head start on some of your Christmas shopping. Visiting the Christkindlmarket is a sacred holiday tradition to most Chicagoans, so make yourself at home and stop by. BYOB — A spectacular way to save money but still experience Chicago’s world-renowned culinary scene are restaurants that allow patrons to bring their own alcohol. You’ll savebig on avoiding paying the premiums restaurants charge for a glass of wine, and these places usually have the best vibes. Dozens of sushi places across the city are BYOB. Other favorites include 90 Miles Cuban Cafe, which has a couple locations throughout the city, and Chilam Balam, a Mexican restaurant in Lakeview that is constantly changing its menu. Views from the Signature Lounge. Courtesy of Salil Wadhavkar. On top of the world — If seeing the city from above is a privilege reserved for those in planes and penthouses, the Signature Lounge on the 96th floor of the John Hancock building is a loop hole. This place sells drinks and appetizers that are slightly overpriced, but the views are stunning, allegedly allowing vistas of three states. Other observation decks in skyscrapers offer similar views, but most charge an entry fee of at least $20 per person. The Signature Lounge is free, besides, of course, the drink you’ll likely have there.